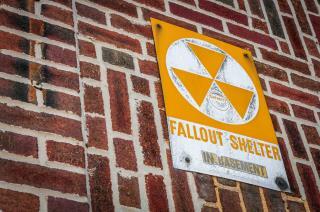 (Newser) – If you're a New Yorker who is soothed by the sight of fallout shelter signs on the city's buildings in the face of an increasingly bombastic North Korea, bad news. The Cold War relics—at one time denoting the city's 18,000 fallout shelters, which were intended to provide a safe space for up to 11 million people—indicate shelters that in large part no longer exist, reported CNBC in October. The government funds that supported the effort stopped flowing in the 1970s, and the basement spaces have found second lives as laundry rooms or storage areas. And as Reuters reports, the city is now quietly doing something about the lingering signage. It reports thousands of them remain affixed to the city's buildings, and the city's Department of Education has been ridding its schools of the signs, with the intention of being free of them by Jan. 1. With todays bobs they are not effective for anything other than a F tomb! I will not ignore it!